Event Tree Analysis (ETA) is used to determine the path from an initiating event to the various consequences, and the expected frequency of each consequence. Pipes breaking, alarms not activating and humans not performing actions are all examples of events that can lead up to insignificant, or catastrophic, consequences. Event trees model these initiators and consequences, and determine their frequencies. 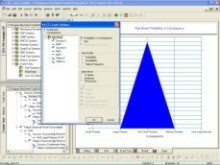 The Event Tree analysis software module uses the logic diagram and consequences you create to provide an analysis of the scenarios the diagram presents. 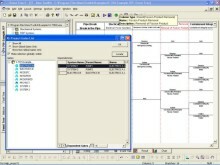 You can quantify the various events using stand-alone gates and events, or gates and events from fault trees in the same ITEM ToolKit project file. Cut set and other important analysis results can be displayed and reported in several different ways, just like other ITEM ToolKit modules. 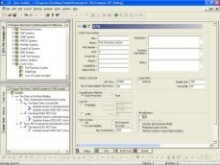 To download a free demonstration of our Event Tree software click here.